I’m going to show you today how to compile drivers for dsm 6.1-15047 (bromolow) with windows and bash. First you need to get the anniversary update of windows 10. Click here for instructions to enable this update. When you are finished installing the anniversary update and you enabled bash, proceed with the tutorial. 1) Start bash for windows. Type bash in the search field and start it. 2) When your shell is open update and upgrade your distribution. 3) Install some packages needed. 4) Get the source and Tool Chains. 5) Unpack both archives. It could take some time..
6) We now make an alias so we don’t have to type the whole thing over and over again. PS. We unpacked the archives in folder /root so if you put it somewhere else do not forget to change the path in the command below. 7) cd into the linux-3.10.x directory. 8) We now need to copy a new config so we can configure the drivers we want. 9) When the config is copied we can start the compile menu. We use the alias we created. The menu looks like this. You can navigate with the arrow keys and select with the spacebar. To compile a driver, lookup your hardware and press the M key. If you see a M before the name of the hardware, the driver is going to be compiled. 10) We now can compile the drivers you selected. All your compiled modules are now in the directory newmodules. There you can find the directory newmodules with all your compiled drivers. 12) The next step is to create a new extra.lzma with your new drivers. Select the image file synoboot.img. Now select partition 1 (30 MB). Click Ok.
Then at the bottom of the window make sure to un-tick the “Read only drive”. Click Ok. 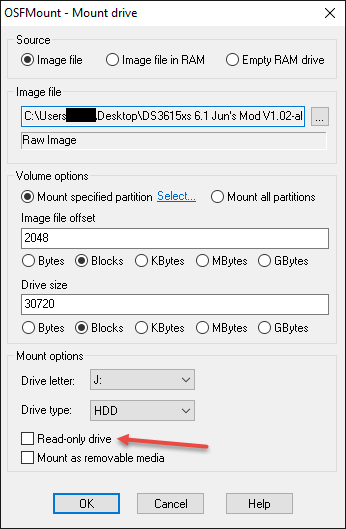 The partition of the image file should now be mounted in file explorer. 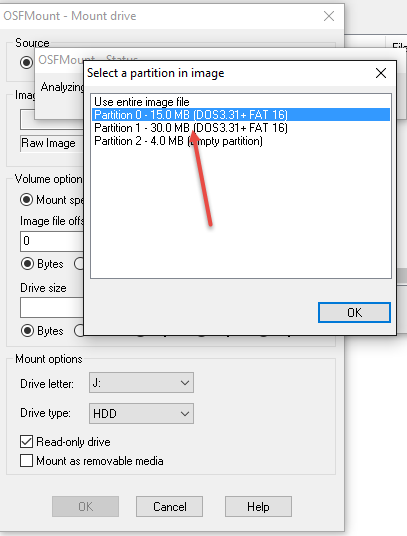 13) Go to your usb disk partition and copy the extra.lzma to your c: drive. And add your new modules. You need to add the name of the module without the extension .ko in the rc.modules file. if your controller or nic needs a firmware, you add the firmware file under usr/lib/modules/firmware/ and add the appropriate line in EXTRA_FIRMWARES, if there is a extra directory inside “firmware” we need to add it into the rc.modules file. The directory is added to the name, see the bnx2 firmware files in rc.modules for an example. Open OSFmount once again and open the 30mb partition. Replace the “extra.lzma” with the new one, dismount the image and close OSFmount. Burn the synoboot.img to usb with Win32diskimager because our new synoboot.img is ready to test. I think this area is long since dead, but still worth a shot! I’m trying to compile dsm 6.2 for broadwell with the drm intel graphics (goal is to get intel quick going for hardware transcoding on plex). The build is failing though, any ideas anyone? Getting stuck on step #9. Was originally in the linux.3.10.x directory, but have looked in a few others and can’t find it. Don’t have a lot of experience with Linux Bash, so not sure how to resolve this. Hi, im trying to compile drivers for netbook with realtek drivers. With DSM 5.2 its working fine [and expenoboot for 5644]. Verbinding maken met netcologne.dl.sourceforge.net (netcologne.dl.sourceforge.net)|78.35.24.46|:443… verbonden. I did find some Intel drivers in the menu that I thought were worth trying to add – but not the exact model. I was hoping I would find how to add new drivers..
It’s same method to compil the kernel ? I would like to compil my own kernel and bzimage for DSM. i’ve bin reading the whole forum by now finding more aboutn this subject, but i cannot find any post regarding this subject. people have expenology working but with hdd as sata and with the net adapter e1000, wich is slow as hell and also uses more cpu wich isnt very effcient when running multiple other vm’s and containers. did i compile it wrong ? Nice !!. I could provide some logging, i still have the VM, and if i can help/assist please let me know. I also tested XPEnoboot 5.2-5544.5, and with this version in can see the virt_net NIC and the virt_scsi DISK inside the VM. When in boot up the vm nothing shows up when in search for a station with Synology assistent. But when i change net0 to e1000 (so no virtio driver is needed and use a default driver already buildin the (syno)boot.img) it show up in Synology assistent, but then it says no disk found. So the drivers do not work ? I’ve double check the newly created (syno)boot.img but the drivers are listed in th rc.modules and visible in de etc/lib/modules folder. I have no idea why it doesn’t work. I will install proxmox server myself and will try it out. Will make a tutorial about it.. I installed proxmox in a vm. And i get it to boot correct but its not working that well. 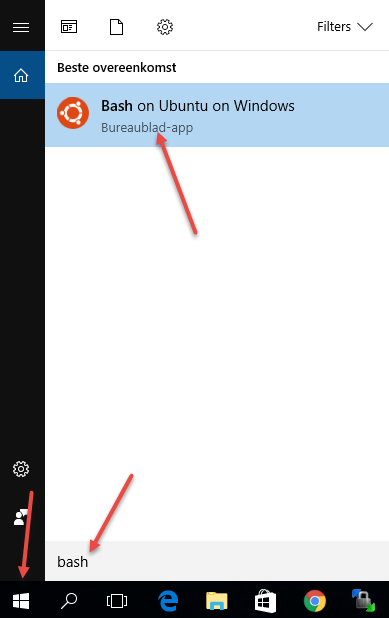 VM in a VM. So i need to build a dedicated machine with proxmox on it so i can test further.. I recommend to read this topic on xpenology.com but i just noticed you already did..